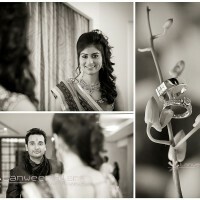 You want a candid wedding photographer to shoot your wedding but budget does not allow you hire one? I’m an Engineer (System Analyst) by Profession & Self- taught Photographer by passion. Photography took birth 3 years back when I gifted a basic DSLR camera to my sister. But she rarely got chance to play with that. Hence, I started clicking whenever got chance after office hours. During my childhood, I use to do painting & sketching. So, I am very well aware of the meaning and value of Art, and this only helped me to enhance my photography which slowly got converted in my passion. I started using camera or can say started clicking with Abstract things on the street but can’t say that, I started photography with STREET photography, as it has a huge value and I was just simply clicking on street. 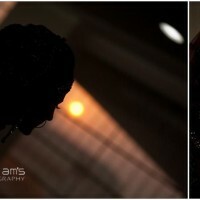 During that period, a sister of my friend was getting married and she asked me to shoot her on her BIG DAY. I was shocked because till that time I was not comfortable to click faces and not even clicked a single portrait of anyone. So clearly denied her but she was rigid and convinced me to click her, besides their professional photographer. 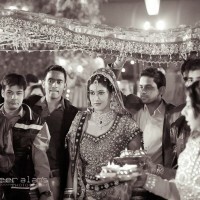 This is how I clicked my first wedding although not professionally but luckily everyone liked the pictures. During that shoot, I enjoyed a lot and almost 9 hours of wedding gone like few minutes of wedding for me. 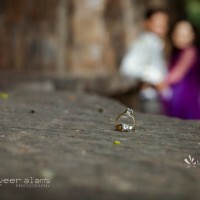 After this wedding only, I started looking for team who already doing candid photography, so I can join them. During this hunt, I met a guy named “Gautam Bhatia” who appreciated my vision and given me full freedom to create images in my style on his assignments. He granted my request without any hesitation, when I requested him that I want to specialize myself in bridal & couple shoot. 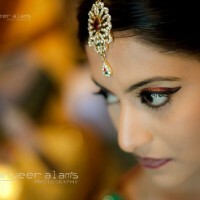 Since then he always put me on front line while Getting-Ready, Bridal & Couple shoot. 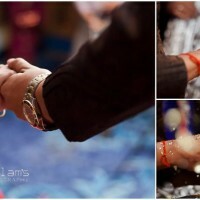 This is how the journey begun for me and 7th July 2012 is the date when, I created images professionally on a wedding. 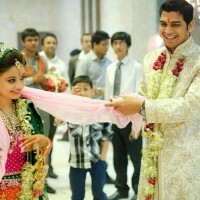 In past 5 years, Indian wedding photography improved a lot and hence forth the charges of the same have been raised as well. I know there are so many good photographers are available, who covers wedding with complete team and their charges are also reasonable. But my aim & motive is to create images for them who really value the images and want their lovely moment get captured to cherish them in future. But due to lack of budget they are not able to hire those good photographers with complete team. I don’t have a team and the reason behind that is, am not looking to make this passion as a full-fledged profession. I believe the moment photography becomes a single source of income for me after certain period of time this passion will get converted into complete profession and I want live my photography just as a passion. 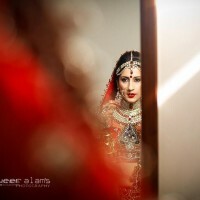 Wedding photography has so many things Emotions, Expressions, Love, Cultures, Rituals, Stories & Rich colors. You’ll never get tired by creating images of these, if you are really passionate about photography. Apart from wedding photography, I always have interest in Street photography which I use to do for myself. I believe that by the grace of ALLAH, am capable to create lovely images being in comfort zone of Brides & Grooms and this is what makes me different from others. I had a real hard time choosing his work to be showcased for this blog post; all the images were so well shot – in his words – crystallised and shaped wonderfully. Here is a quick preview with a few of my favourite ones. To know more about him and his work, visit his facebook page.